Browse a wide variety of beautiful Glass and Stone Mosaic Tile options for backsplash, kitchen and bathroom applications, the marble stone tiles and glass tiles are perfect for kitchen and bathroom backsplashes. At Hominter.com you will discover beautiful combinations of glass and stone tile or slate for a unique hard working kitchen backsplash or bathroom. 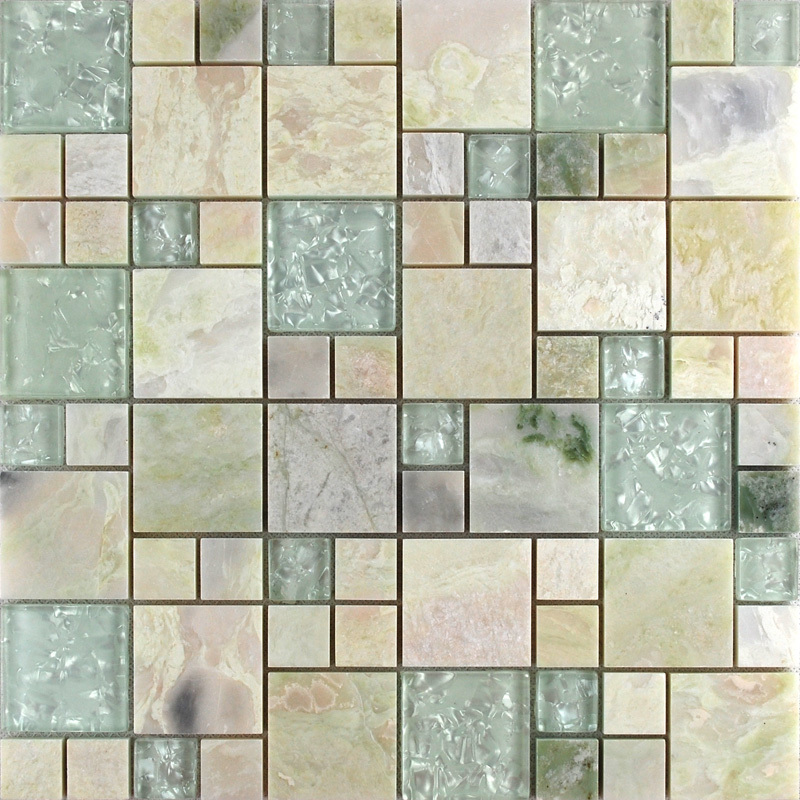 Glass tile mosaics add luminosity and a clean modern sensibility to kitchens and bathrooms. Natural stone tile adds dimension and style to your project. Natural Stone is the perfect finishing material choice and has been used in homes and buildings for thousands of years. Natural stone tile is sophisticated and can be both modern and timeless in design. Travertine floor tile and slate floor tile are the most popular choices today for natural stone flooring. Basic stone tiles become impressive floor installations by adding decorative mosaics or when installed with unique pattern layouts. Care products available today make stone an excellent finishing choice for use in the master bathroom spa shower to the kitchen backsplash. 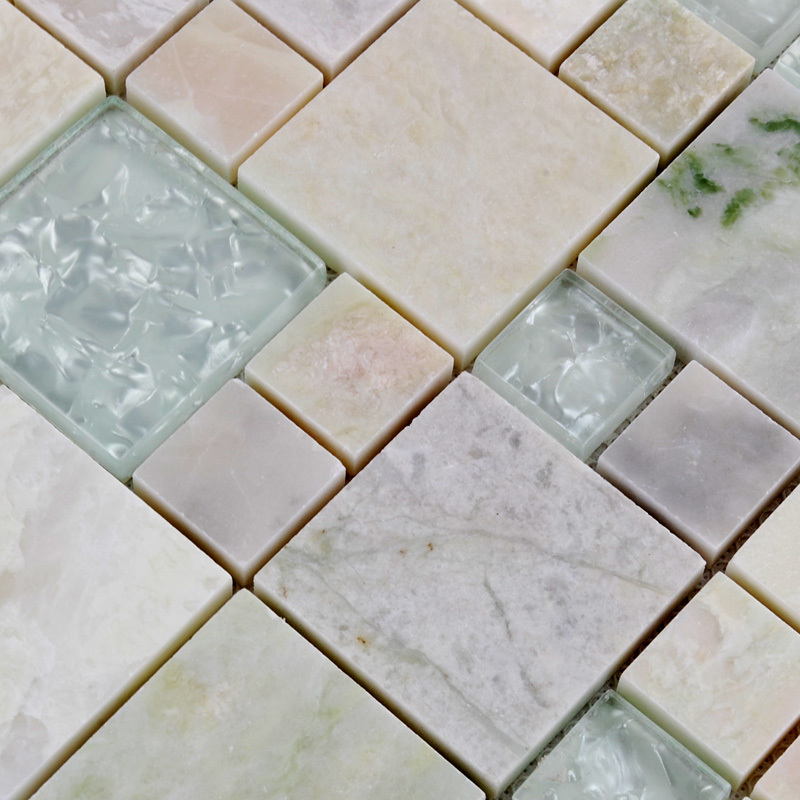 I want to buy this Natural Stone and Crackle Glass Mosaic Tile.